Aluminum is the third most abundant element on earth and its components have been used by humans for thousands of years. Alum was used as a dye fixer in Egypt over 5,000 years ago while Persian sculptors used aluminum silicates for making pots and ancient Greeks used anhydrous aluminum sulfate to staunch wounds. But pure aluminum metal only became part of everyday life just over one hundred years ago. Why? While aluminum is one of the most common elements, it never occurs naturally in metallic form. 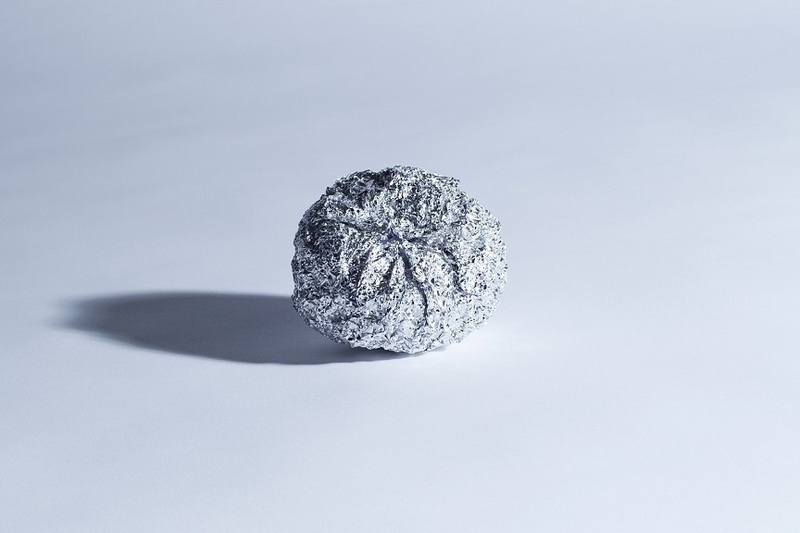 The process of discovering metallic aluminum, and an inexpensive way to produce it, took decades of experimentation from scientists all over the world. Aluminum was first described in 1807 by English chemist Sir Humphrey Davy, who argued that the substance alum was the salt of an unknown metal which he called “alumium.” The name of this undiscovered element was eventually changed to “aluminum” by later scientists. In 1825, Danish physicist H.C. Oersted extracted the first nodules of pure aluminum from ore by heating potassium amalgam. Though Oersted’s discovery made aluminum metal products possible, his process was complex and produced only tiny amounts of aluminum. Throughout most of the nineteenth century, aluminum was considered a semi-precious metal, as expensive and rare as silver and gold and primarily used for expensive jewelry and cutlery. In fact, Napoleon III reserved aluminum cutlery for his most important guests, leaving silver cutlery for those of lower rank. The price of aluminum dropped slightly in 1858, approximately to the price of silver, after Henri Sainte-Claire Deville invented a method for extracting aluminum from bauxite. But it wasn’t until 1888 that a process was invented that allowed aluminum to become inexpensive enough to use in everyday products such as the aluminum tubing, soda cans, and power lines that we use today. This concludes part 1 of the History of Aluminum. Part 2 will be released next month. Getec Industrial is the perfect choice for aluminum seamless tubing and heat sink manufacturing. For more information on our thermal management solutions, contact us online or call us at 888-999-8499.